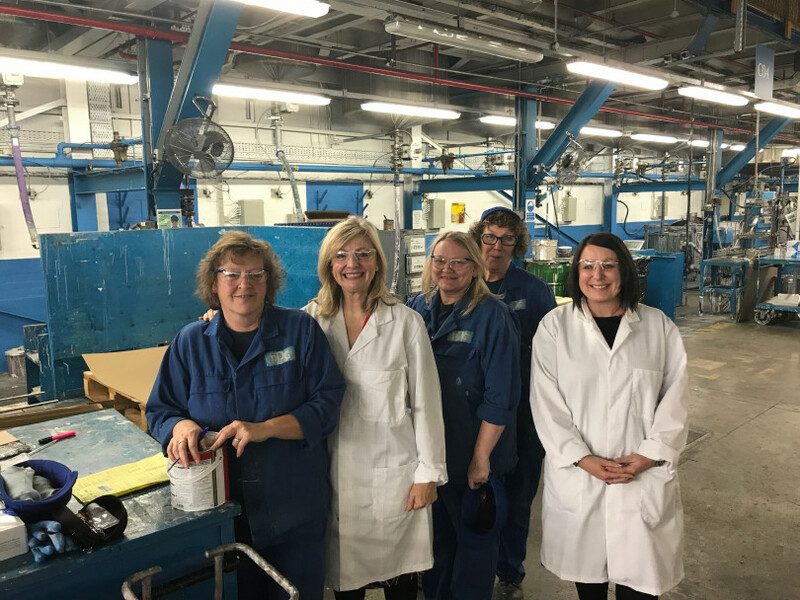 BATLEY & SPEN MP Tracy Brabin praised the work of a global paint manufacturing company after a colourful visit. Birstall-based PPG welcomed the Labour MP as she was given a tour of the factory and warehouse, alongside GMB trade union official Rachel Dix, to see the work they do. "PPG are a global company working in the heart of Birstall, and I was lucky enough to spend half a day going round the factory with senior staff and GMB official Rachel Dix," said Ms Brabin. "Talking to staff, many of whom have been there for decades - always a good sign - I could see PPG is a fine employer investing in staff wellbeing and personal development. "I was heartened to see many women on the factory floor as well as in management, and I know the company is committed to representing our diverse community at every level." Ms Brabin, the shadow minister for early years, also applauded PPG's role in the Batley & Spen community. She added: "Outside of the factory it is clear PPG are committed to their role alongside our community. "Over the summer they donated paint to Batley & Spen Youth Theatre's production of Les Miserables and only last month I was very lucky to open Fieldhead School's new playground with the Mayor, as part of PPG's colourful communities project. "The scheme involved members of PPG staff painting benches, murals, furniture and playground markings - making a positive, colourful and up-beat impact on the day-to-day life of children and teachers. "Whilst there are considerable concerns as to how Brexit may impact the business and some of the valued staff, I feel reassured they're a company committed to Batley & Spen and here for the long term."